Sen. Elizabeth Warren (D-MA) is laying down a new rule for her presidential campaign: No fundraisers, dinners, receptions or phone calls with wealthy donors. Sen. Elizabeth Warren is laying down a new rule for her presidential campaign: No fundraisers, dinners, receptions or phone calls with wealthy donors. 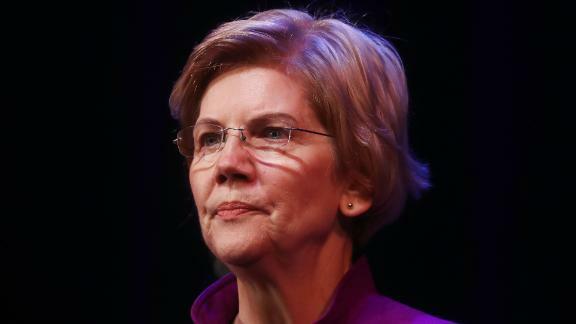 The Warren campaign has not held a single fundraiser since New Year's Eve when Warren launched her presidential exploratory committee, Warren aides confirmed to CNN. The time that Warren and her staff can save by skipping glitzy fundraisers and call times with deep-pocketed donors, they say, is time they are devoting to more organizing events, town halls, and calls to grassroots supporters and small-dollar donors. In just under two months, Warren has traveled to Iowa, New Hampshire, South Carolina, Nevada, California, Georgia and Puerto Rico, and has clocked in more than 20 campaign events. Warren has already disavowed accepting any PAC money and donations from federal lobbyists and has pressured others Democratic candidates to do the same. A fundraising email last week said Warren is "not taking any contributions from PACs or federal lobbyists, and she's not spending her time cozying up to wealthy donors who can write big checks," and added for emphasis: "You can't say that about all the other candidates in this race." The toughest competition on grassroots fundraising will no doubt come from Vermont Sen. Bernie Sanders, who launched his second presidential campaign last week. Within the first 24 hours of jumping in the race, the Sanders campaign raised nearly $6 million -- a stunning debut showcasing the potential power of small-dollar donations. Warren's announcement on Monday also highlights her campaign's emphasis on building a grassroots movement as a longer-term investment, as the senator hopes to eventually take on President Donald Trump next November. "By then we'll be up against a Republican machine that will be hell-bent on keeping the White House," Warren wrote. "They will have PACs and Super PACs and too many special interest groups to count, and we will do what is necessary to match them financially. That means investing—starting now -- in each and every one of our state parties, and in our national party too."